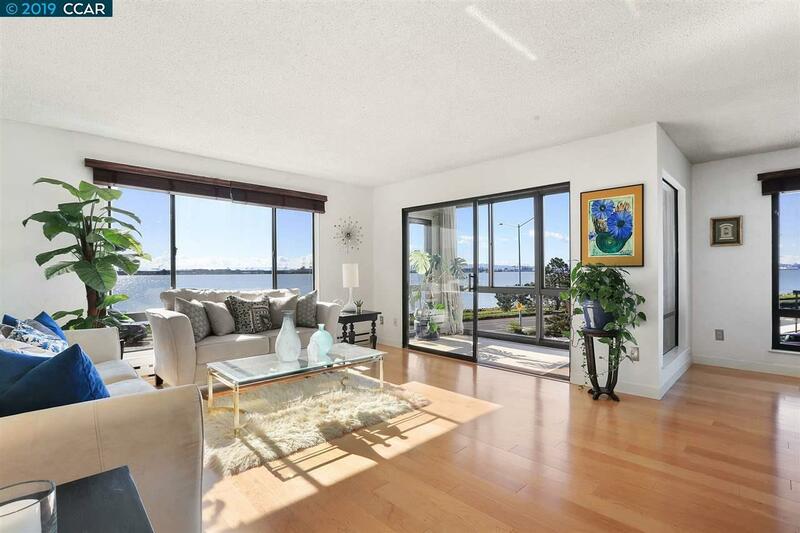 Open House Sat and Sun 2PM - 4:30PM This extremely rare 1bd/1ba corner condo in the sought after Watergate complex boasts amazing water views as well as gorgeous views of the Bay Bridge, Golden Gate Bridge, Alcatraz, North Bay and Emery Cove Yacht Harbor! Beautiful engineered maple floors flow throughout the spacious living room and formal dining area. Kitchen updates include a tile backsplash and newer, glass front cabinets. The bathroom has been updated with a new vanity, medicine cabinet, shower tile, refinished tub, and porcelain flooring. The enclosed balcony is a perfect spot to revel at the stunning sunsets over the Bay as you relax in your amazing new home. Enjoy Watergate's 4 swimming pools, spas/hot tubs, fitness center, steam rooms, saunas, locker rooms, and 4 lighted tennis courts. Lounge in the clubhouses or stroll down the greenway and boardwalk. Plug in to multiple EV stations for resident use. The on-site 24hr security and HOA office support residents.